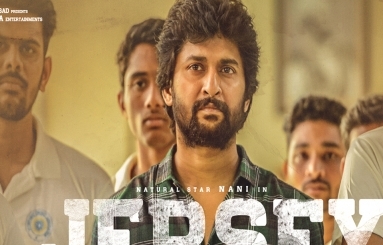 Nani in talks with a Tamil Filmmaker | Nani News Nani in talks with a Tamil Filmmaker: Nani is in talks with Samuthirakani, a leading filmmaker for a bilingual and an official confirmation is awaited. Sasikumar will play the lead role in the Tamil version. Natural Star Nani scored six massive hits in a row which is huge for any actor. He has been lined up with many interesting films and he is busy shooting for his next movie titled MCA in the direction of Venu Sriram. The movie is said to be a romantic entertainer and Sai Pallavi is the female lead. Dil Raju is producing the movie which has been aimed for November release this year. The actor has number of projects lined up and he will soon work with Merlapaka Gandhi, Hanu Raghavapudi and Prakash Kovelamudi soon. The latest update is that the actor is in talks with a leading Tamil filmmaker. Talented director Samuthirakani is in plans to direct a bilingual and Sasikumar has been roped in to play the lead role in the Tamil version. Nani is in talks for the Telugu version and an official announcement is awaited. We have to wait and see if Nani gives his nod. Nani and Samuthirakani earlier worked with Nani for Jenda Pai Kapiraju and the movie ended up as a massive debacle. With many interesting projects in pipeline, we have to wait for Nani to take a call.